Stars, Christmas trees or maybe even moose? In which shape do you prefer to cut your biscuit dough? 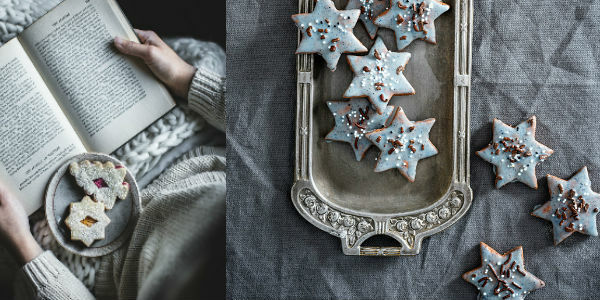 Cookies are part of the Advent season, preferably homemade! Coconut macaroons and cinnamon stars are also popular. Our Christmassy and beautiful selection of pictures also motivates you to vegan and gluten-free alternatives, shows specula macarons, chocolate cookies and the matching decoration.